It was great last week on “Making it thru Monday”, so let’s get right to the heart of this post! The top viewed submission came from Leah. 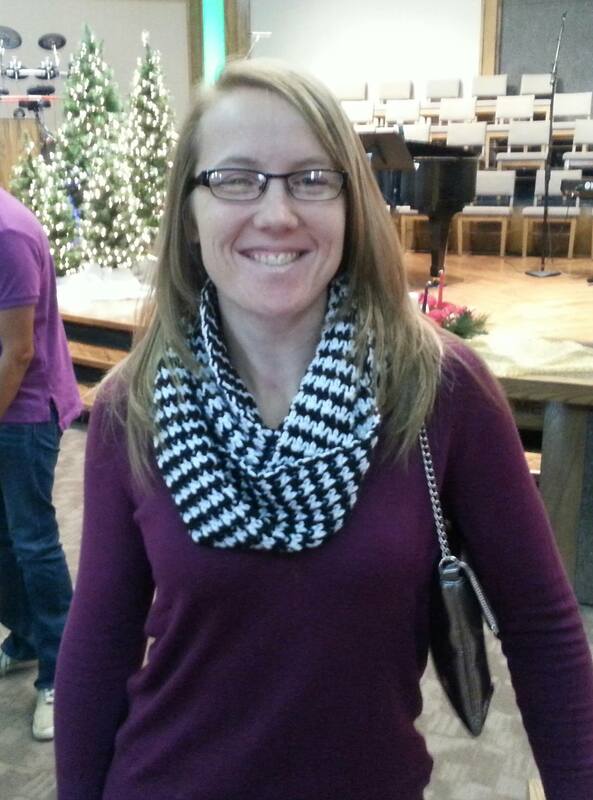 She had a customer that wanted a houndstooth scarf and decided to use my free houndstooth pattern. It doesn’t matter how many times I see this scarf, I always think it’s so classy. It’s the perfect accessory to “spice” up your favorite sweater or jacket. Leah did a fabulous job, and I’m grateful that she posted her picture! Our next submission was by Bonnie, and she loves animals. Here is the beginnings of a beautiful crochet scarf! I love the colors and how it looks so warm! 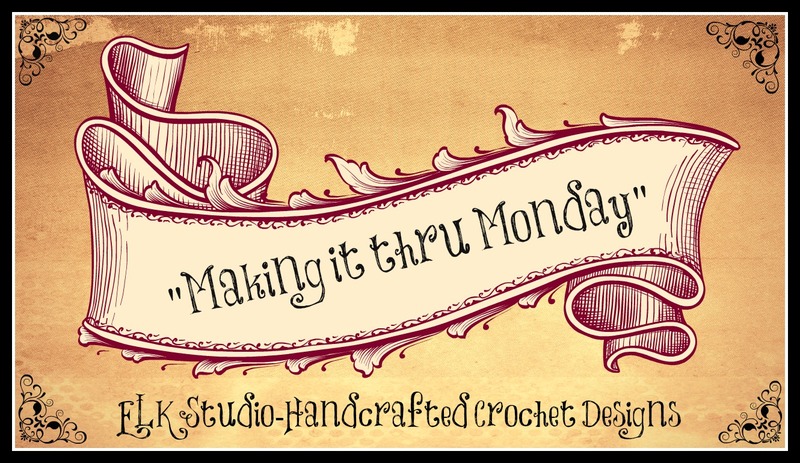 She makes knit and crochet projects with 100% of her proceeds going to the South Pacific County Humane Shelter. What a true heart! Her webpage is BJ’s Pet Projects, and you should take a few minutes to check it out. I love the fact that we can make “things” with our hands and how easily it can be turned into something that helps another living being don’t you? Thanks to everyone that joined in on the fun! 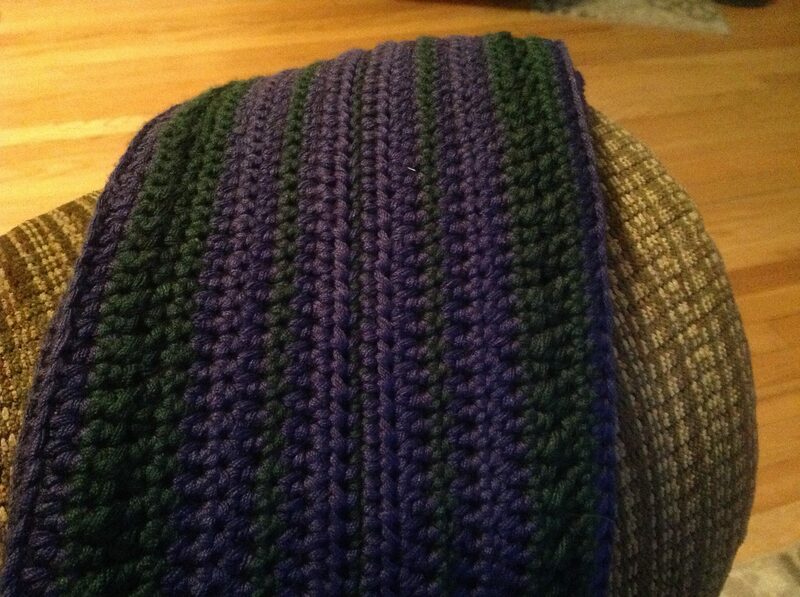 You can submit your photo to elkstudiocrochet@gmail.com if you want to show off your wonderful talent! If you have a blog, grab your “I’ve Been Featured” button! Very nice post! Loving the Houndstooth pattern!